Sunnyside was the site of one of Virginia’s earliest apple orchards and became a certified organic farm in 1996. 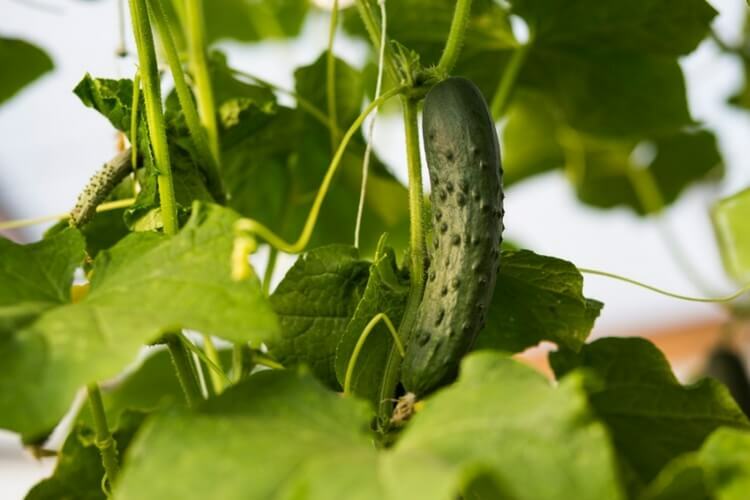 Today, The Farm at Sunnyside grows 60 types of certified organic vegetables on approximately 12 acres and manages a 10 acre orchard. 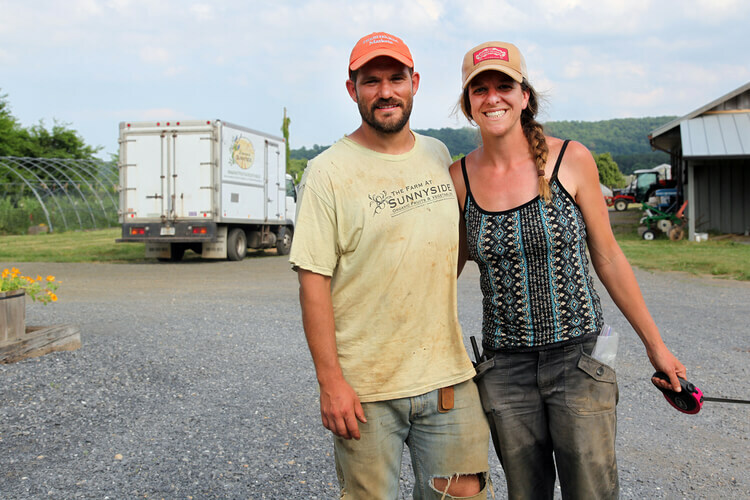 The farm managers, Stacey Carlberg and Casey Gustowarow , practice crop rotation, make organic compost and raise cover crops to improve the soils on the farm. 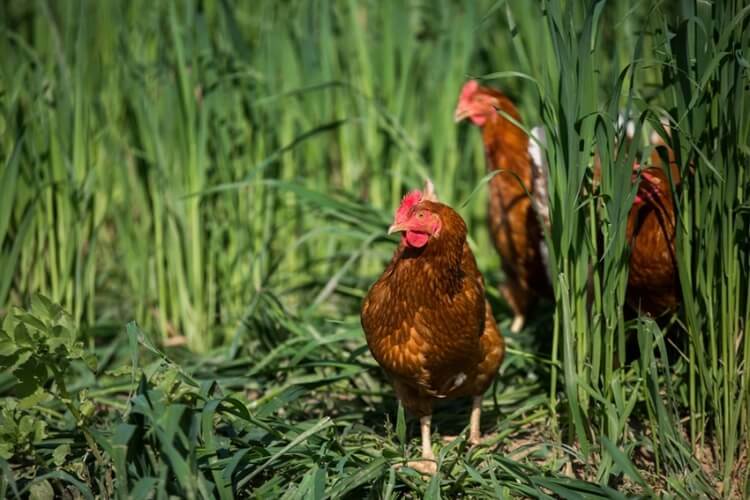 They are also experimenting with no-till methods to help sequester carbon in the soil and a rotation of laying hens to improve soil fertility. 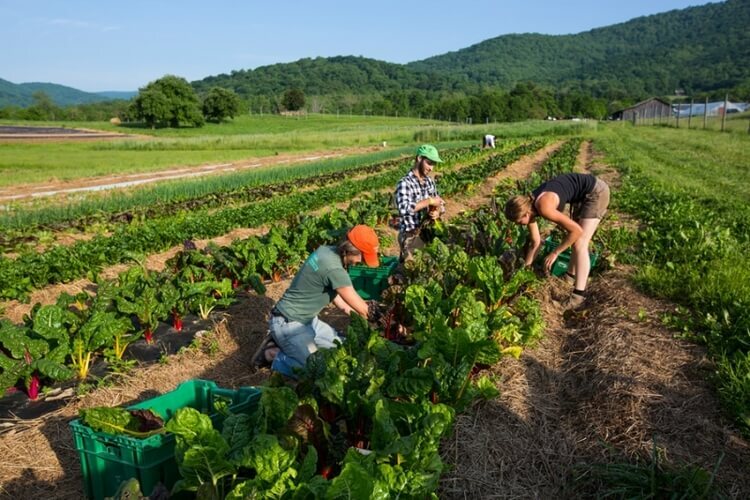 The farm employs 4 full-time permanent staff and also hires 6-8 full & part-time seasonal staff. 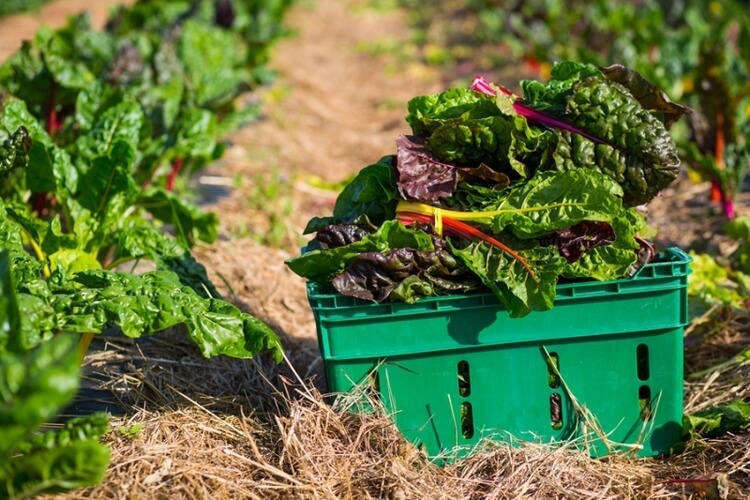 Farm products are available through a local CSA program and three farmer’s markets. The farm also sells to several area restaurants. 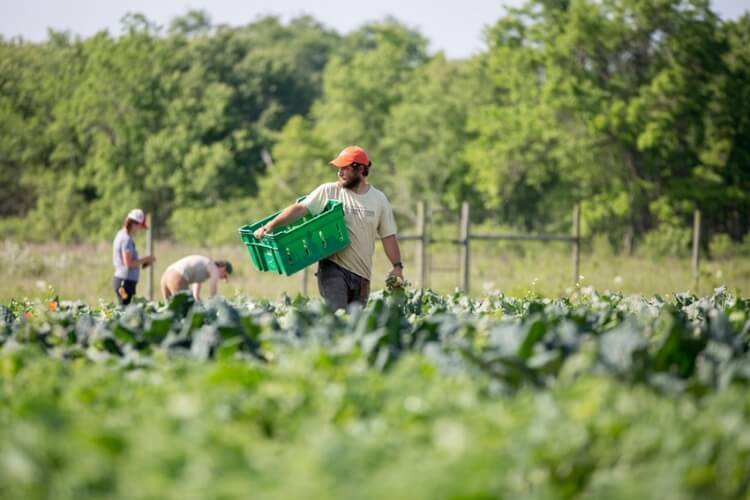 Central to our mission is managing the farm not only for food production but also for native wildlife and the beneficial services that come from a healthy ecosystem. We strive for conservation practices that benefit agriculture and vice versa. The farm provides habitat for over 136 species of birds, black bear, bobcat and other mammals as well as countless varieties of insects, amphibians, reptiles and plants. Right at the Inn at Little Washington onto Main St. Right onto Rte. 624 (Sunnyside Orchard La. ), immediately crossing a bridge. Go .8 mi, right onto Sweetwater Lane to buildings directly in front of you.